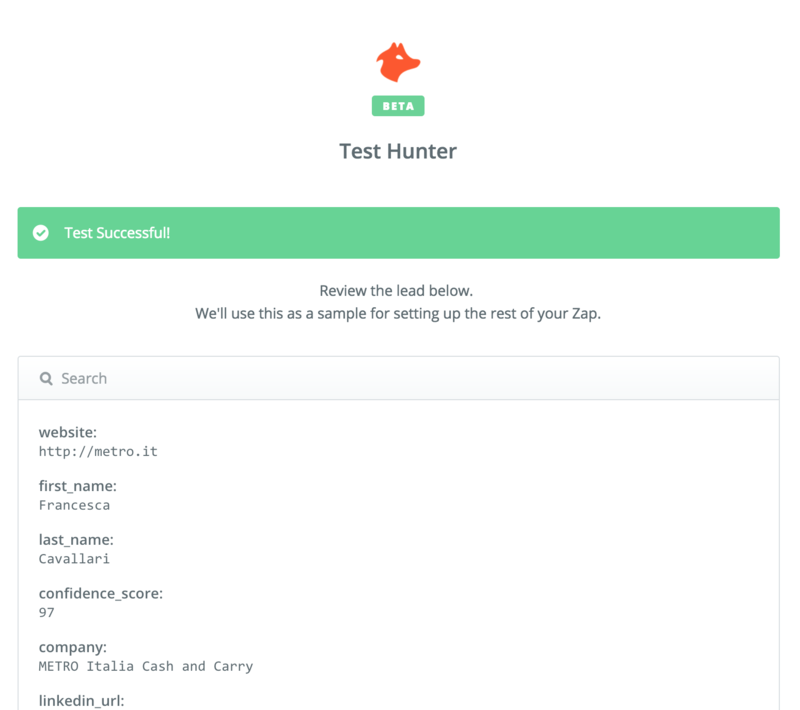 Hunter can be easily integrated with Zapier and connect it with other tools. To get started simply go to the "Applications" section of your account. Click the Connect a new application button or choose to connect a new app directly from the Leads section. 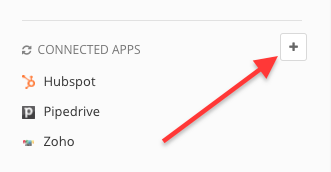 Enter your Zapier credentials (username and password) and click the Save + Continue button. Select the Connect a New Account button. Enter your Hunter API key in the text box. Find your personal API key in the API section of your dashboard. Click Save + Continue to confirm and go to the next step. Make sure to have some recent leads saved in your lists. When you are ready hit the Fetch & Continue button. Use this step in case you need to re-test Hunter to get another lead. After you've done that, click the red Continue button. Zapier will now allow you to review all the information related to the imported lead. Click the Continue button to proceed. You can now choose an app to connect to. Visit the Zapier’s integration page to discover the recommended apps to connect to Hunter. What Hunter's functionalities can be used inside Zapier? Email Verification: check if a given email address is deliverable and has been found on the Internet. Email Finder: find a specific email from a full name and a company name or domain. Email Count: count how many emails can be found for a domain or company in Hunter.